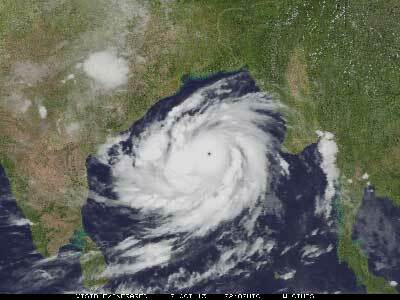 Cyclone Phailin on Sunday left a trail of destruction knocking down lakhs of homes affecting nearly 90 lakh people and destroying paddy crops worth about Rs 2,400 crore, but Odisha and Andhra Pradesh escaped from widespread loss of life. East Coast Railway on Sunday resumed train services and ran some special trains to carry stranded passengers. The Crisis Management Group of ECoR has been regularly evaluating the situation with Railway Emergency Teams stationed with sufficient manpower and materials in advance at 25 stations considered most likely to be affected, an ECoR official said. Official sources in New Delhi said the storm left 23 dead in Odisha and Andhra Pradesh after one of the largescale evacuation efforts in the country’s recent history. The deaths were reported to have been mainly caused by falling trees and house collapse. Odisha special relief commissioner Pradipta Kumar Mohapatra said electricity and water supplies will be restored everywhere by this evening, except in the worst-hit Ganjam district, where most of damaged electricity towers are located.